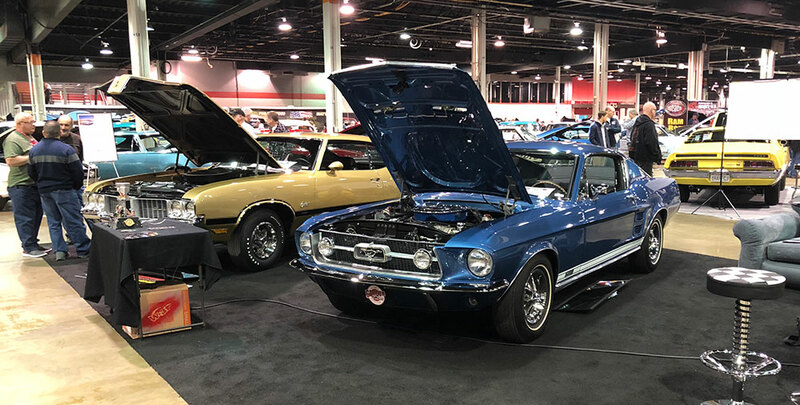 The 10th annual Muscle Car and Corvette Nationals (MCACN) took place on November 17 & 18 in Chicago and Garner Customs & Restorations once again put on a spectacular exhibition! In addition to being a sponsor of the Ram Rod and W-31 Invitational, we were also featured in the official show guide as a diamond level sponsor with a full-page feature article. 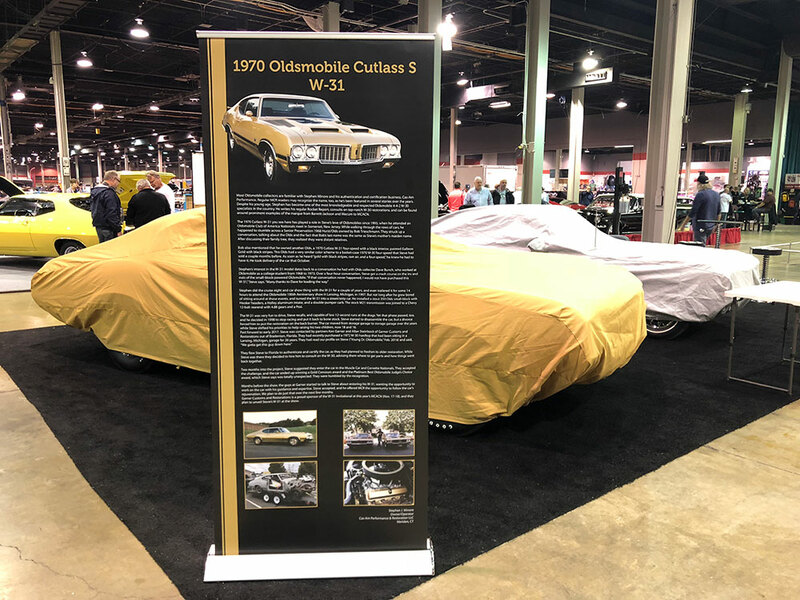 We unveiled Stephen J. Minore’s beautiful 1970 Galleon Gold Oldsmobile Cutlass W-31 restoration as well as a beautiful Acapulco Blue 1967 Ford Mustang GT-A rotisserie nut and bolt restoration. Thank you to everyone who stopped by the booth – we met so many enthusiasts and car lovers at the show! 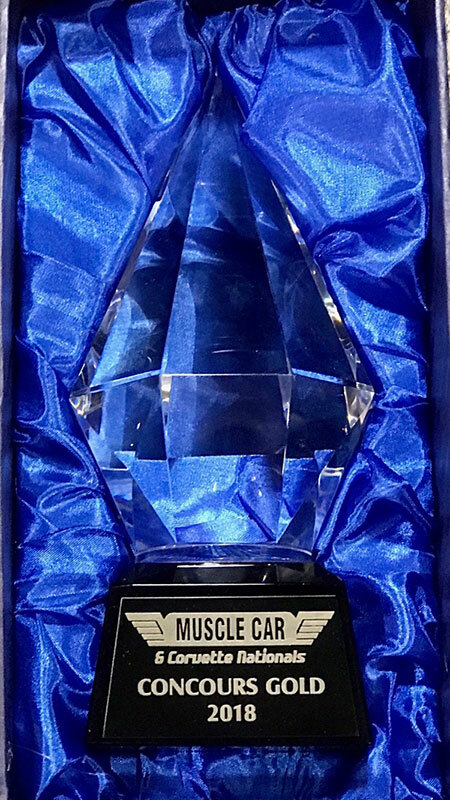 And we are proud to announce that for the second year in a row, GCR was a MCACN award winner! 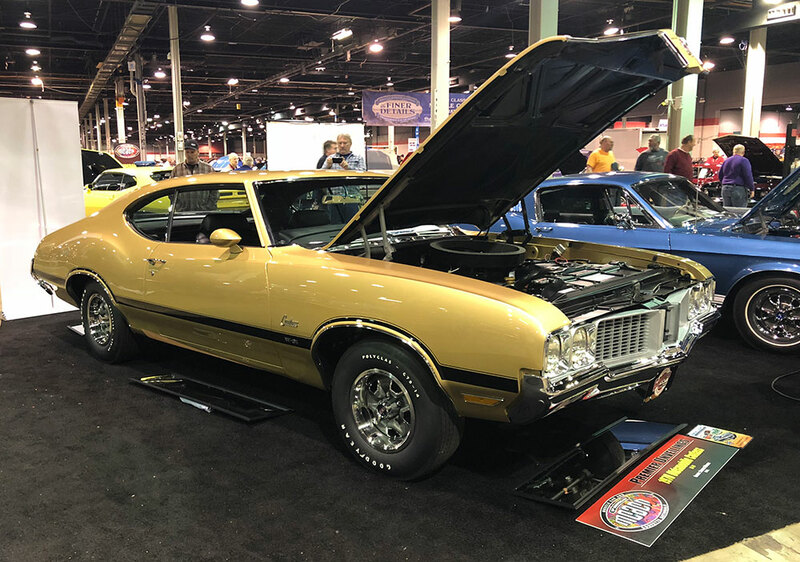 Our restoration of Stephen J. Minore’s 1970 Oldsmobile Cutlass W-31 won the coveted MCACN Concours Gold Award! We can’t say ‘thank you’ enough to our awesome crew who produced this beauty in a 9-month time frame. This car has over 1,200 hours of build time in it, bringing it back to factory condition, and countless hours of searching for unicorn-rare parts. 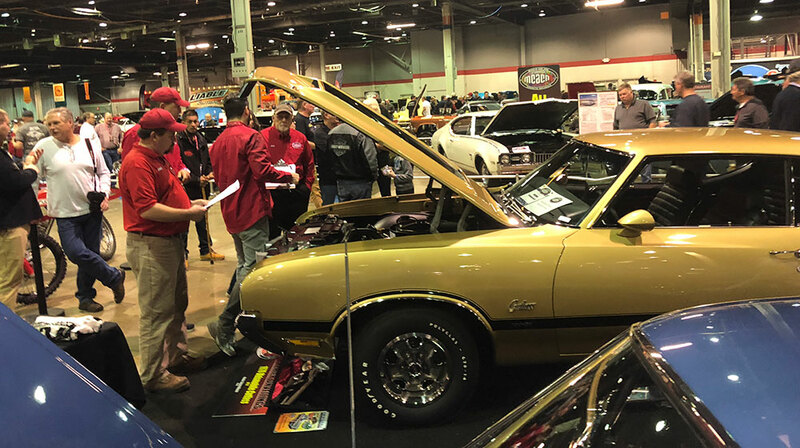 A Concours level restoration is not an easy task, and to win Concours Gold again is an honor and a testament to the work we put into the project.